Marwood (5th): ran his usual honest race first-up and just found the trip a bit too short. Hit the line nicely in the last 300m to just miss a place and should be at his best in races around 1400m. 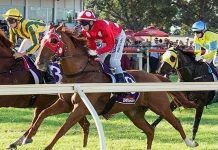 Note – A long overdue win for Sebring Sun, who hadn’t won since August 2015, and he enjoyed the run of the race in the box seat. When a run opened he sprinted through and held off Savaju who was game and Star Stealer followed the winner and finished third. Blue Tycoon (2nd): didn’t have a lot of luck in the early part of the straight after getting back. Had to be eased at a vital stage before making up plenty of late ground into an eye-catching second. Ashlor (5th): jumped clearly the best then dragged back to last for some reason. From the turn he didn’t get a crack at them and was checked a couple of times. Went to the line hard held. Very unlucky. Note – Bord De Gain maintained his unbeaten record with a solid win, though he did survive a protest from the runner-up who he tightened up. Blue Tycoon took good ground off him and Sacred Sham held on for third after not stepping away the best then rushing up onto the speed. Seized (4th): looked like a pinball from the 500m to the 300m as he was pushed around and checked a number of times. Eventually had to give ground away to get to the outside and charged home. No luck here and should have finished a lot closer. Note – An all the way win for Speed Street who took his time finding the front then kicked away and held off the late closing Je Suis Tycoon, who was under pressure before the turn, and Pure Scot who scraped the paint to run into third. Note – very fast run race with a few impatient rides, Hans Holbein sat back and let everything unfold. Loomed up strongly on the turn and raced clear from Richard Of Yorke, who was let go about 1400m out and stayed on while the others up front dropped right out, and Goodwill who was very one paced. 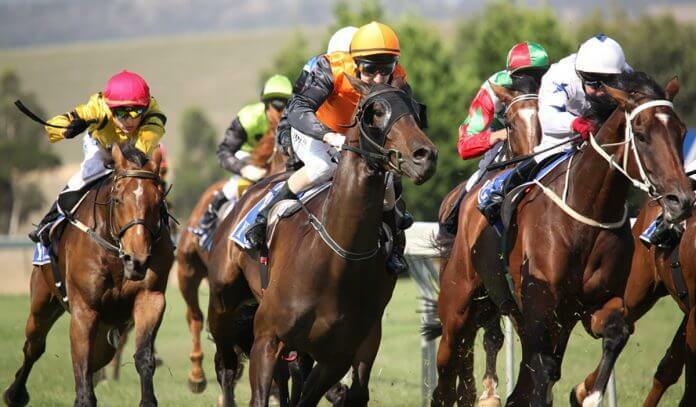 Note – Cannyescent appreciated getting cover in the three wide line behind a solid tempo and while he wanted to hang in he sprinted quickly to put the race away at the 200m and held almost a length on Leodoro and Coram who both ran on from behind him. Note – Very much an on pace dominated race with Give Us A Go sitting up outside the leader Diamond Baroness and dashing for home at the 200m. She held off Whistle Baby who was always handy with the leader holding on for third. The others didn’t make any impact. War Legend (3rd): drifted a long way back from a wide gate, took off before the turn very wide with the winner on his back. Kept coming and went down in a close three way finish. Racing very well this time in and another win isn’t far off. Note – Observational came with a swooping run to claim his second win in the Golden Mile, downing Jacquinot Bay, who looked the winner about 200m out, and War Legend running on. The leader Burning Front ran another honest race but couldn’t hold them off this time. Note – An easy all the way win for Milwaukee, a lightly raced three-year-old. He controlled the race and kicked away around the turn, holding a clear margin. Sword Of Light was handy all the way but didn’t match the sprint and Kazio hitting the line nicely again into third. Note – Another all the way victory with the grey Top Me Up bouncing straight on the lead and dashing away on the bend. From there they couldn’t get near him. Pay Up Bro had his back the whole way and held his ground with Bradman making a late bid from well back to steal the minor placing.